Are you struggling for child-friendly ideas for meal times? Want something that is easy to prepare, healthy, nutritious and delicious for your kids? Bored of preparing separate meals for each member of the family? Then check out my blog series featuring some of the sprog’s favourite food recipes. 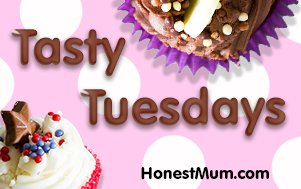 These are all tried and tested by the harshest of food critics – none other than Toddler L! Today, I am serving up a cod and chorizo paella. Look, I know – I’m calling it paella, but it really isn’t authentic in the slightest, so don’t be bombarding me with messages like “where’s the saffron”. If you really want to know, the saffron is in the supermarket as I can’t afford to re-mortgage my house to buy some! Instead, this is my version of a paella and it is pretty bloody delicious. If I was on Come Dine With Me, chances are that this – or a variation depending on what meat / fish I have – would be my winning main course. Don’t just trust me though – Toddler L absolutely loves this paella and will eat loads of it. Not only is it tasty, but it’s also nutritious, healthy and filling. Check out the recipe below. This cod and chorizo paella is one of Toddler L's favourite meals. It may not be 'authentic', but I don't care as it's just that good! It's nutritious, easy to make, very tasty and toddler-friendly. Add the cod fillets to the pan and fry for a few minutes. Begin breaking up the cod into flakes as it cooks. Add the diced onion and chopped pepper. Stir and let it fry for a few minutes. Add the diced chorizo, smoked paprika and garlic powder. Stir and let it fry for a few minutes. Prepare the fish stock by mixing boiling water with the stock cube. Add the stock to the frying pan. Add the paella rice and tomato puree to the pan. Stir well and lower the temperature to a simmer. After 15 minutes, add the frozen vegetables and stir well. As the stock reduces, frequently stir the contents so that it don't stick to the bottom of the pan. Once all of the liquid has been absorbed, the paella is ready to be served. As a variation, why not substitute the cod for something a little more 'fishy' like salmon. Or alternatively, swap fish for chicken or pork.